You can sign up for the Spring term groups from 14th December, either online or at our Sunday Morning Gathering. This term's 'Signup' starts on 7th December. Most of the groups start the week commencing January 12th, and finish the week commencing March 23rd. After the groups start, some groups will remain open, but many will be full. (You can sign up for new groups between 7th Dec-4th Jan). If you have never been a part of one of Coventry Vineyard’s Life Groups, then you are in for a great experience. Life Groups are our groups of around 10-15 people that meet together each week in Coventry and the surrounding area to learn about the Bible, to grow and to have fun meeting new people! 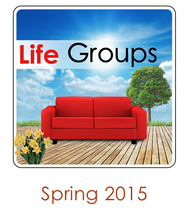 Click here to find out more about the vision and values behind Life Groups. General Groups: For anyone and everyone. Gender specific: For Men or Women, you know the drill! Age or Life Stage Specific: These Groups are open to those in a specific age or life stage though you do not have to join one of these groups! Are you in School Years 7-9? Come along to our life group where we have fun and tackle some of the Big Questions about God. Together this term we will be challenging you to examine what you believe and to think realistically about where God fits in our everyday lives. The first half of this term we are going to be digging deep into scripture, specifically the Gospels and Acts. The second half we will then challenge ourselves to live this out together in our everyday lives. There will be worship, community projects, prayer for the persecuted church and an open week for a chosen topic. In doing this we are hoping to discover what it means to follow Jesus and live our lives the way Jesus lived. A place for young people in years 10-13 to chat, make friends and learn more about Jesus. It is the perfect opportunity to ask any questions you might have about faith, as well as learning from and discussing the views that other people your age might have. When most of us think of removing clutter, we often think of physical junk. But God desires us to declutter all areas of our lives so that we can enjoy His freedom. Join us as we explore ways of decluttering our time, money, minds, relationships and of course our homes! Meeting the alternate Wednesday to Women's Group A this group will explore how the mysterious presence of Jesus haunts the whole story of the book of Acts. Using Tom Wright's Acts for Everyone study guide we will see how the way Jesus acted through the apostles informs and empowers our acts today, as we seek to understand the Bible in fresh ways under the guidance of one of the world's leading New Testament scholars. What do you think about when you think about ‘God'? We all tell stories about our lives, so how does knowing the true nature of God change the narrative of ourselves and our communities. Our focus will be learning about and meeting with God through community and discipleship. :: Breaking News:: This group is now full. Do sign up for another group soon to get the best choice. We compare life to weather for good reasons - bad and violent weather makes us feel as bad as when life's emotional storms and nasty surprises hit. That's when we need the weather-proofing of our faith as followers of Jesus. The sessions take us through the Gospel of Mark to learn, from Jesus example, to ‘sing in the rain’ in the midst of our own challenges, disappointments and hurts. We are a new and developing group that meets to talk about how we can best follow Jesus in our everyday lives and how we can help lead others towards having faith in him too. We believe that everyone's life is better with Jesus at the centre of it. Because of this we run regular social gatherings where those who are not following Jesus can mix with those who do. Come along and be part of this new and exciting challenge! As Christians we each have a frontline. It is the place where we spend much of our time, the place God has called us to, where we meet people who don't know Jesus. How might He use us and how might we grow? How might we see work as a positive rather than a negative aspect of our life? Do you long to experience more of the power and presence of God? Using John Ortberg's book 'If you want to walk on water, you've got to get out of the boat' we will be encouraged to leave our comfort zone, conquer our fears and meet Jesus on the risky waters of faith. Visit here to buy the book on Amazon UK (Other stores are available! ).